Not long ago, Medicare for All was called fringe. It was considered radical to guarantee health care as a right to every man, woman, and child in this country. But today Medicare for All not only enjoys the support of the majority of Americans, it is also a mainstream Democratic Party position. 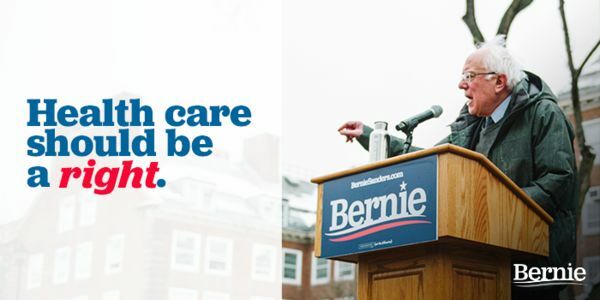 Before Bernie re-introduces his Medicare for All bill in the Senate in a few weeks, we wanted to ask you to do something important: add your name as a citizen co-sponsor of Medicare for All today.